Though you may see perfectly straight hair everywhere you go, no one actually wakes up looking like that. Yes, some women have naturally straight hair, but even they need to know the tricks to keeping it super sleek and shiny. The best thing about straightened hair is that it can last 2, 3, or even 4 days once you style it. So whether you have a head of curls or need to put the artist’s touch on your already straight hair, there are some important things to look for in the right flat iron to make your hair look and feel its very best! 7 What’s the bottom line? Since there is a bit of wiggle room here, the plate size is up to you. For long, thick hair, you’ll need a substantial plate size, which generally tops out at two inches. If you choose a small plate size, it won’t necessarily do damage, but it just might take you forever! For shorter or thinner hair, choose something in the one-inch range. Go even smaller than that for extremely short ‘dos. And if you’re just not sure, one inch is a good place to start. We talk about the importance of the best technology on this site and it’s for good reason. A newer iron made with ceramic, and ideally tourmaline added in, will give you the shiniest damage-proof results by reducing negatively charged ions in your hair. For higher heat, titanium is also a good choice. While extremely high heat is not a daily necessity (and actually a bad idea to do every single day), you might want an iron with variable heat settings. If you use high heat every third or fourth day or have a special event that requires the ultimate professional look, you’ll want those high heat settings available to you. Day-to-day, for quick touch-ups, a medium heat setting works just fine. As always, prepping your hair with the right products and tools is key. While straightening your hair can look appear a little more forgiving in the styling department (flat irons will straighten anything while curling requires a more structured look), the prevention of damage is extra important. Once your hair is straightened, especially the ends, split ends become quite noticeable. So make sure to take special care here by doing these things. Get your hair cut regularly so that split ends are always kept at bay. Wash and blow dry with a shine-enhancing straightening shampoo and conditioner. Blow drying perfectly is not necessary, but drying the hair thoroughly is. Any wet spots will sizzle upon hitting heat. Section your hair, as always, starting underneath at the back of your head and secure top portions with a clip to keep them up and away from your face. Starting with the first section, hold your hair in the middle and brush only the ends. This will leave as much hair attached to the root as possible. Take the flat iron to this section, fairly close the root and slowly glide it down your hair giving a quick sweep inward before you let go. It may not be necessary to brush every section after you flat iron it, but after every 2-3 sections lightly brush through after you’ve finished to bring the sections back together, redistribute the heat, and cool it down faster. If you have exceptionally thick hair, you might want to zip some cool air from your hair dryer through the entire under portion of your hair before moving to the top sections. Cool hair will not curl back up, while hair that is still warm might undo some of your hard work. For girls with fine hair, this extra step may not be necessary. Take extra care at the sections around your face because this is the part that everyone sees first. If you use anti-frizz serums or hairsprays at the end, use them sparingly. The goal is to get more than one day out of your straightened hair, so too much product will only weigh your hair down and leave it looking greasy by day 2 or 3. Save the products for those second or third days to prevent having to use more heat each day. For girls with shorter hair, a one-inch barrel is just right. The less-is-more rule of products may not apply to you, though. After following the steps above, you just might need a good dose of product to hold your style, especially if it’s more structured or layered. Taking extra care of your ends, which you probably already have trimmed regularly to maintain your cut, a couple extra passes at the ends might be needed to get them to face in the direction you choose. 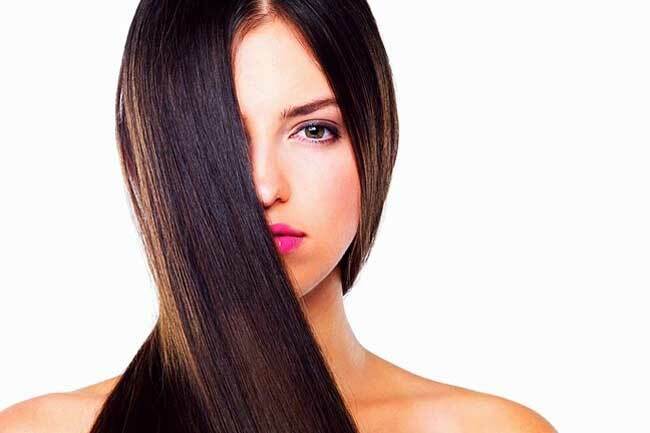 For framing your face, instead of pulling the iron down and inward, consider flipping your hair straight up. 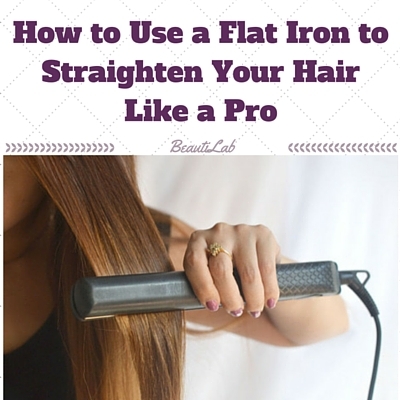 Gently pull the iron from the top to the back of your head and let the hair fall naturally. Check out, if you are looking for a hair straightener for curly hair or a flat iron for African American Hair straightening! For all the different needs you have on how to straighten hair, whether thick, long, thin, short or any combination of these, be sure to check out our other posts. And definitely, consult our Top 10 list. Let us guide you on finding the very best product for you.